Pablo Ballester was born in Palma de Mallorca in 1959. He studied Chemistry at the Universitat de les Illes Balears (UIB) where he graduated in 1982. From 1983 to 1986 he was in the same university as an associate researcher and after getting his PhD degree (directed by Prof. Ramón Mestres Quadreny from the Universitat de València) he moved to Pittsburgh University (Pittsburgh, USA) where he was associate researcher too. In 1987 he went back to the UIB as a post-doctoral scholarship holder and one year later he went back again to the University of Pittsburgh. In 1989 he moved to the Massachusetts Institute of Technology (Cambridge, USA) as a postdoctoral associate. Between 1990 and 1994 he held the positions of assistant professor and associate professor at UIB. In 1994-95 he was in the USA again as a visiting scientist at the pharmaceutical company Cubist Pharmaceuticals, Inc. (Cambridge). Between 1996 and 2002 he served as secretary of the Chemistry Department, vice-dean of the Faculty of Sciences and head of studies of Chemistry at UIB. From 2002 to 2003 he spend a sabbatical year at the Scripps Research Institute (La Jolla, USA) with the rank of associate professor of research. 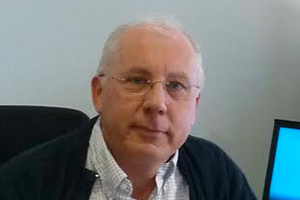 Afterwards, he took a position as ICREA (Catalan Institution of Research and Advanced Studies) research professor and he joined the ICIQ as a group leader. Pau Ballester has several honours and awards (Spanish Ministry of Education Special Award B.A. degree; Spanish Ministry of Education Pre-doctoral Fellow; Spanish Ministry of Education Post-doctoral Fellow; Alfred P. Sloan Fellow etc. ), he has given several lectures (XIII Biennial Meeting of the Organic Chemistry Group, Sitges, 1991; Series of Lectures of the Institute of General Organic Chemistry, CSIC, Madrid, 2001; Ronald Breslow Award 2004, National Meeting of the American Chemical Society, California, 2004, etc.) and has done numerous publications.